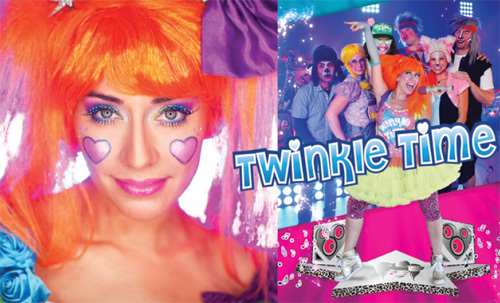 Twinkle & Friends – A proven family favorite, this high energy, bilingual, pop music show wows families and their kids. Twinkle & Friends is one of the hottest phenomenons in the bright and colorful world of children’s entertainment as their fun family of characters deliver a show full of catchy, hummable pop tunes that get everyone “movin and groovin”…even parents too! Making learning fun, this show provides an environment in which children learn and grow. Also available with full band.